Back in 2013, when Gartner analysts wrote a research document titled “Is MPLS dead?,” I was excited to see validation of something I saw coming for a while: the continuing migration of mission-critical applications from the corporate data center to the cloud was eventually going to make the technology obsolete. MPLS adoption numbers worldwide have ranged from 20-80% depending on the analyst, the region, and the type of deployment, and in the four years since the Gartner report, we’ve seen SaaS and cloud computing begin to dominate the market. In fact, by 2020, IDC predicts that SaaS penetration vs. traditional software deployment will be 25%. Yet plenty of traditional enterprises are still signing 2-3 year contracts with their MPLS provider of choice. The enterprise network architecture of the past was predominantly hub-and-spoke, with all Internet traffic back-hauled through the corporate headquarters or data center. The design worked very well at the time, both for relative cost containment and for security and consolidation of enterprise assets, especially in comparison to other options. Fast forward to the world today and consider a couple of key trends affecting network architectures: Globalization and cloud computing. Mid-market organizations are more likely to be global than ever before, and enterprise applications are more likely to move to the cloud (or to a SaaS-centric environment). This shift makes the old architecture obsolete for a few reasons. Globalization does not work well with MPLS. First, global MPLS is still frightfully expensive, even though pricing has dropped a good deal within the US and Europe in the past couple of years. But try connecting to places like China, Brazil, Australia, and India over MPLS and you’re still looking at tens of thousands of dollars and months of lead time. Second, there is no such thing as a “global MPLS” provider. Now, there are large service providers that position themselves as global MPLS, but that doesn’t mean they sell unified “global” solutions. The “global” MPLS solution will be some combination of MPLS and point–to-point L2 links and L3 links, depending on where in the world you’re trying to connect. These “global” MPLS providers have multiple partnerships in place that allow them to sell you a network made of disparate links with a single (albeit sizable) bill. This may work out well for the largest of enterprises but is prohibitively expensive for the mid-market. 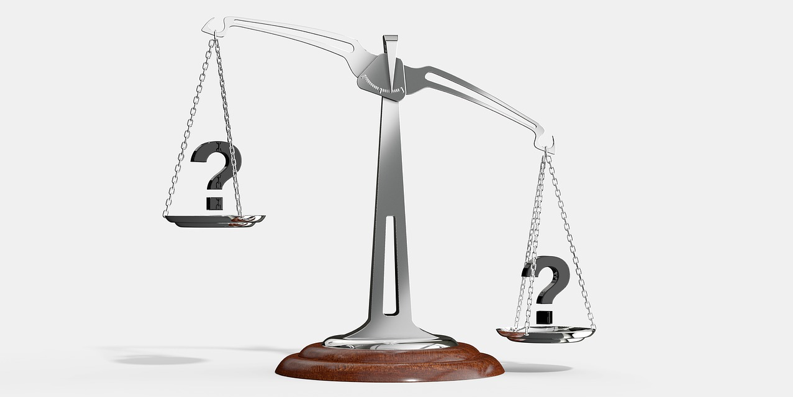 Case in point: the adoption of MPLS across the mid–market, as well as across distant regions, has been low and for good reason: It simply costs too much, and doesn’t deliver high enough performance to justify those costs. Cloud services do not work well with a closed network like MPLS either. 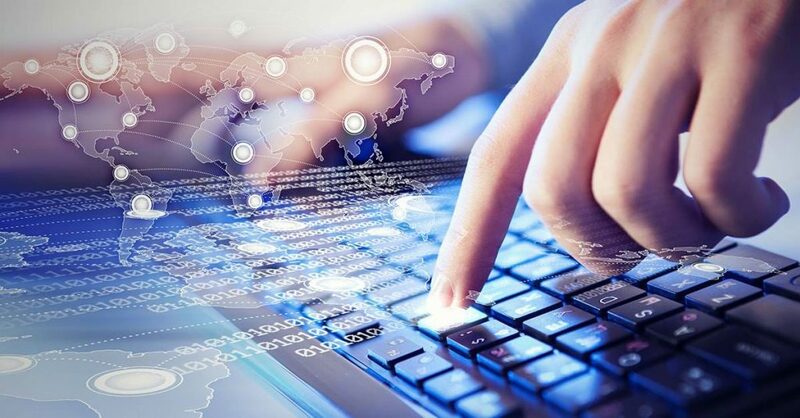 IT teams responsible for branch-office productivity are looking to open up and access cloud services directly in order to ensure good user experience and to avoid the trombone effect. In addition, in most parts of the world, Internet bandwidth (at least within that region) is becoming a lot more affordable. However international Internet access is still expensive and is subject to variations in latency and performance because of multiple hops across long distances, thanks to hot-potato routing. 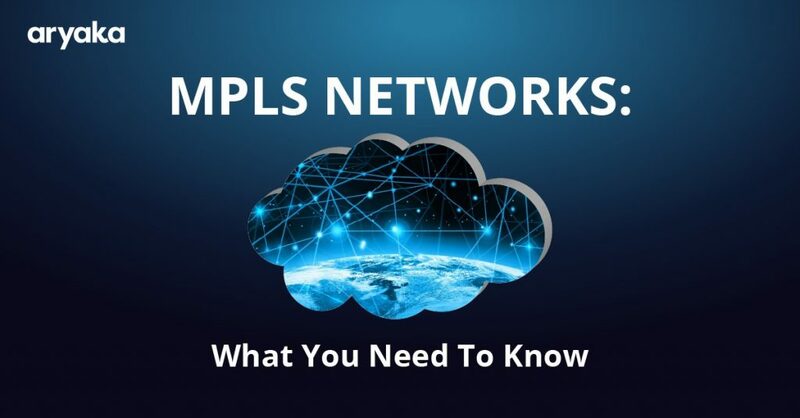 MPLS networks work great to connect specific point-to-point locations, like large regional offices, retail facilities with point of sale systems, some regional manufacturing facilities, and multiple data centers. Offices with users who need to have integrated access to the cloud as well as to on-premises applications, international offices, partners, customers, remote workers, etc. need a new kind of network. And the answer is Aryaka. Aryaka can co-exist with MPLS as needed, but can also replace private, MPLS-like secure global networks– even across and between continents – without the high costs and rigid architecture of MPLS. 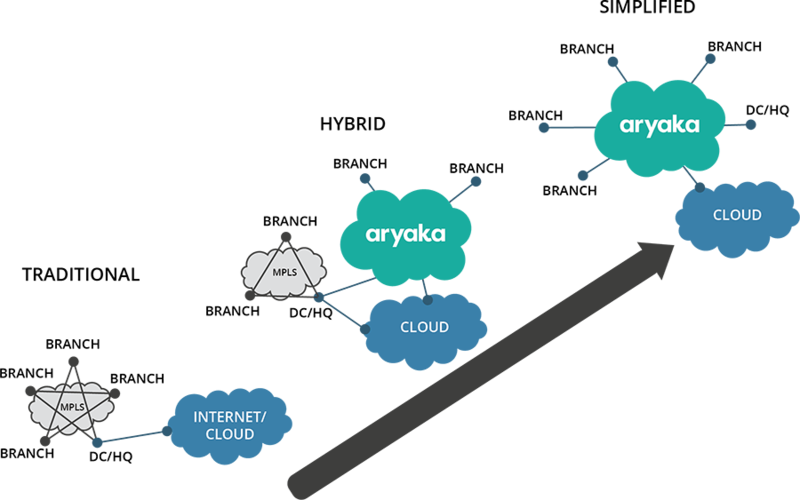 An enterprise can onboard to this cloud-based network at the nearest Aryaka POP using an affordable Internet link (or multiple links for redundancy), and allow the Aryaka network to carry and optimize their traffic to multiple end points, including the centralized application server at the headquarters or data center; meshed across multiple offices with the option of QoS; to a cloud service hosted in a distant region; between partner organizations; and to mobile users, customers and other stake holders. 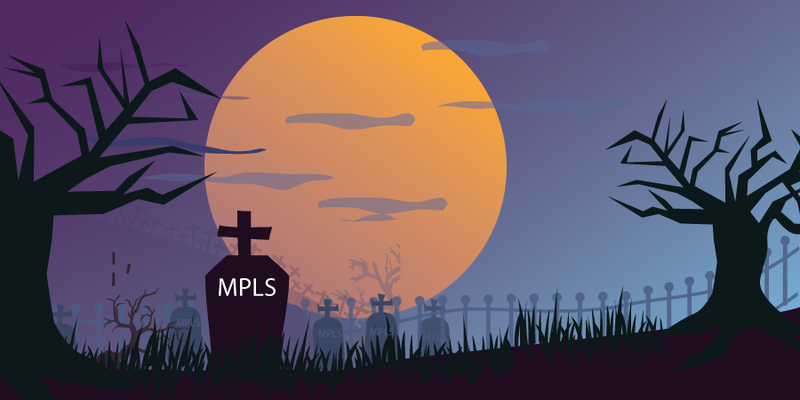 Now, here is something for the regional and global service providers reading this blog to consider: MPLS may not be fully dead, but its applicability across the enterprise WAN is certainly eroding. 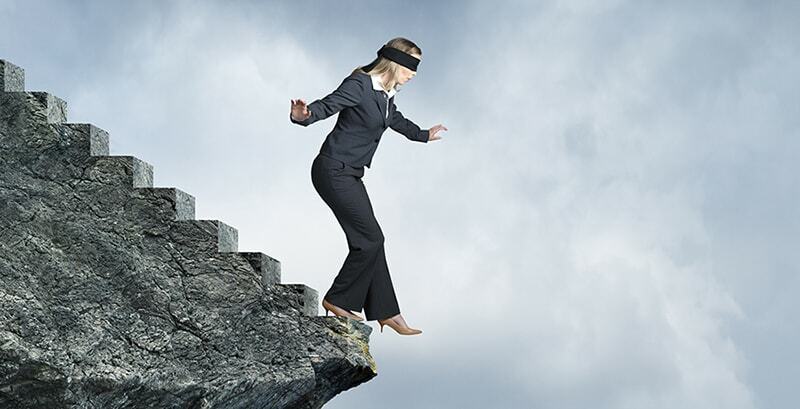 Providers can choose to ignore these trends and will continue to benefit from their existing infrastructure, but they will struggle across regions. They will also struggle to maintain value, provide managed appliances, and sell to the mid-market. Few will succeed. Alternatively, they can be more progressive like Binat in Israel, ONSE/Sejong in Korea and other providers across Asia-Pac and the rest of the world, providers that have joined Aryaka’s Fusion in order to plug gaps in their network services portfolio, so they can protect their investments in existing regional services by augmenting them with global services via Aryaka. 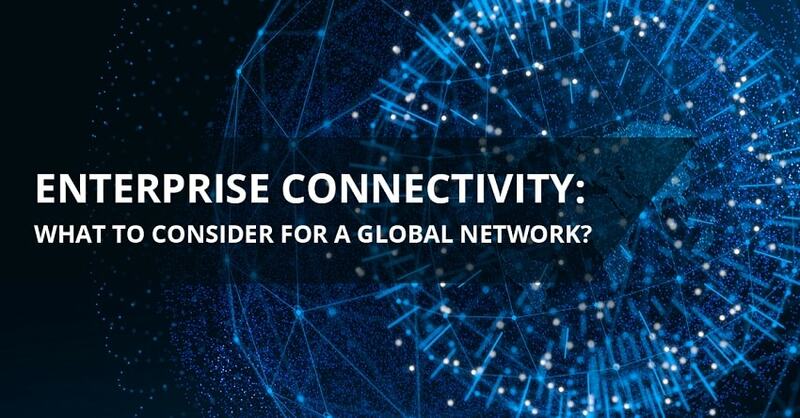 These and other global providers turn to Aryaka’s SmartCONNECT for global connectivity and built-in WAN optimization, SmartCDN for dynamic web application optimization and delivery, and SmartMOBILITY for remote or mobile access and integrated collaboration across partners and customers. Our instant provisioning and simple to manage, as-a-service approach hits the sweet spot for over 550 global enterprises—as we help our partners attract customers and retain them for the long haul. Gary Sevounts is the Chief Marketing Officer at Aryaka Networks, and is responsible for Aryaka’s global marketing efforts. 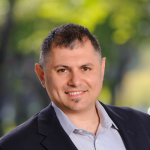 He has extensive experience with software and SaaS products in the IT infrastructure and security space, as well as marketing and sales technology, having held marketing and product management leadership roles with a number of industry leaders. 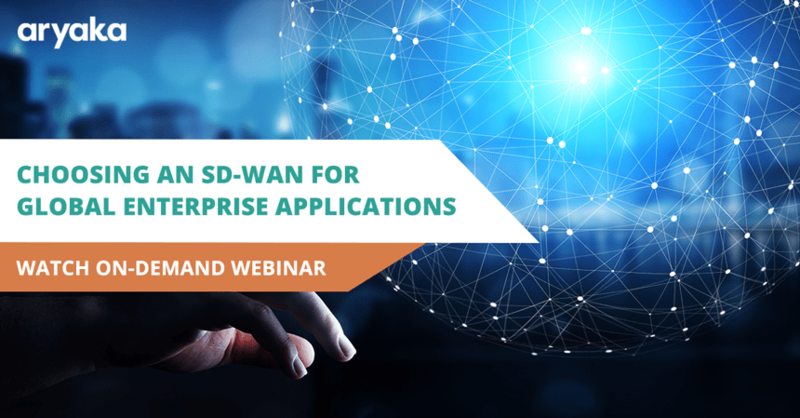 Can a Global SD-WAN Replace MPLS Connectivity?